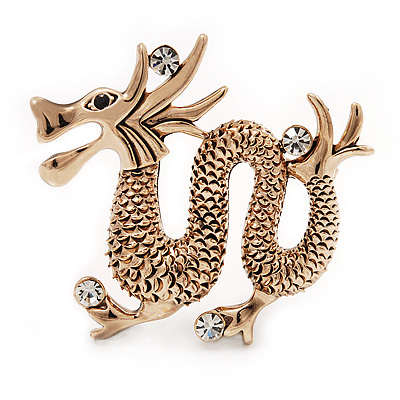 Add a talking point to your outfit with this striking Gold Plated 'Dragon' Brooch. Featuring a dragon design, made of gold plated metal and accented with clear crystals for a dash of sparkle. The body decorated with textured detailing for a distinctive look. It measures about 4.3cm x 4cm and fastens with a flag pin and revolver.